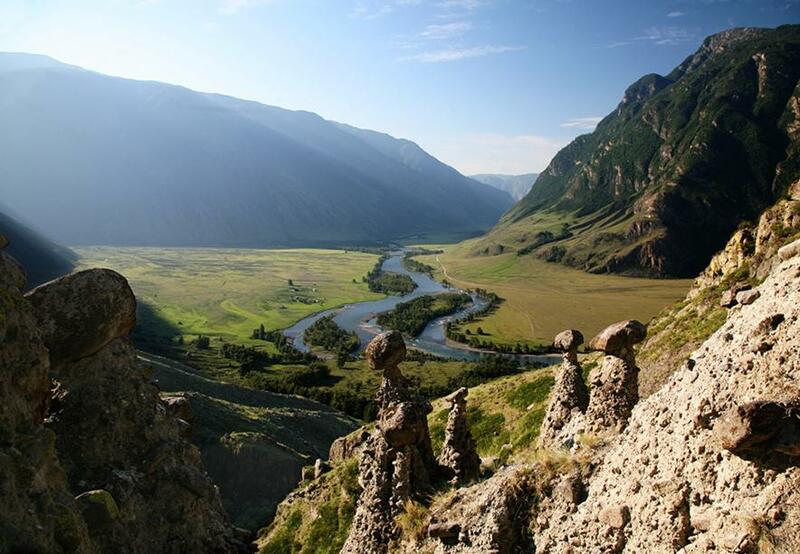 Akkurum (Ak-Corum) is located on the right bank of the river Chulyshman, Altai region of Russia. 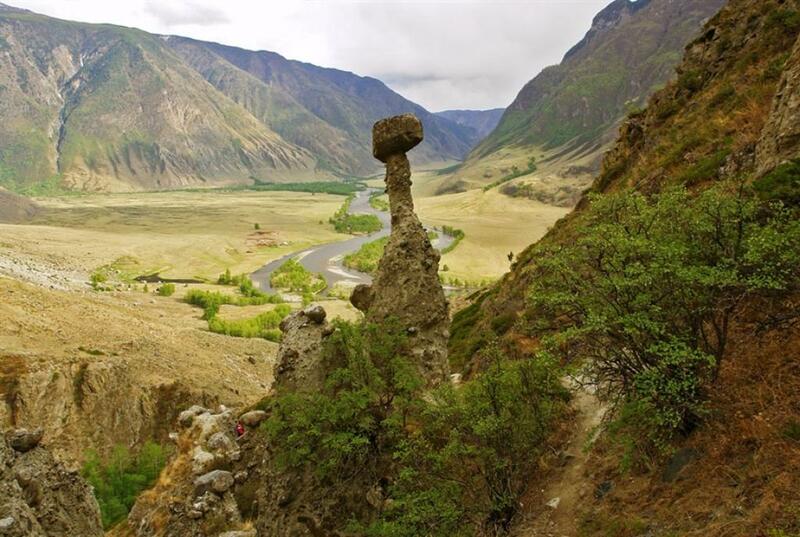 Akkurum translates as the “white rockslide.” Generally, “kurums” are large boulders formed by erosion and weathering. One of the interesting facts about the kurums is that they are slowly moving down the slope. 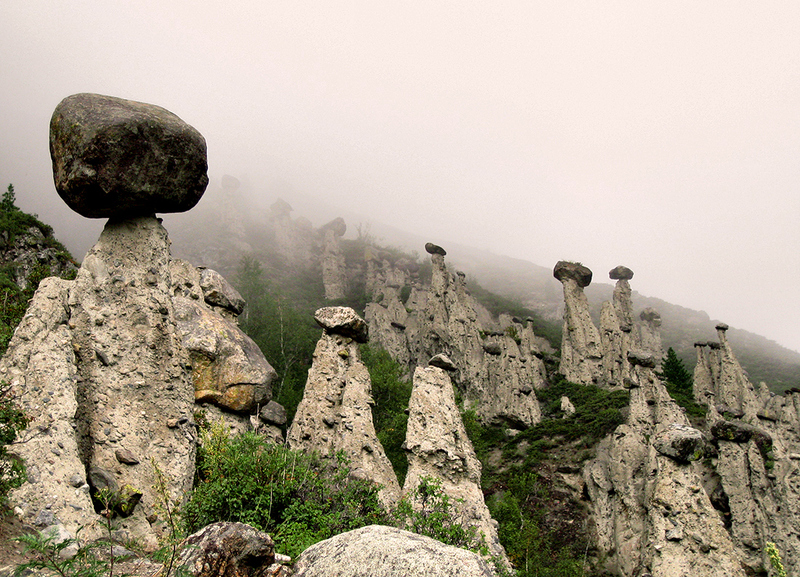 These unusual formations, strikingly resembling the mushrooms, are results of weathering and water erosion. Mushrooms are formed of solid rock served as a kind of umbrella for its foundation. Over time, the softer rock around the base erodes and “mushroom” grows. 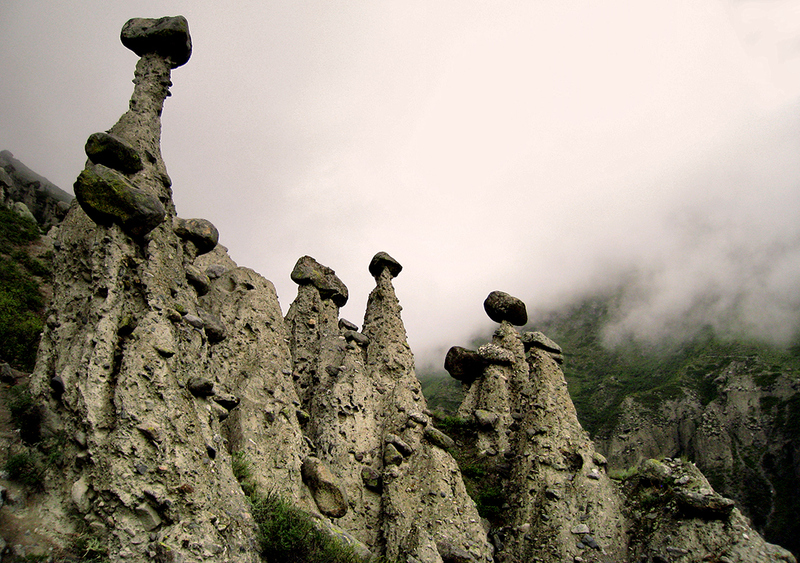 Up to 5 meters (16 foot) high, the rocks attract many visitors. Unfortunately, these stone formations continue to gradually disintegrate. During the earthquake of 2003 several “hats” fell off. 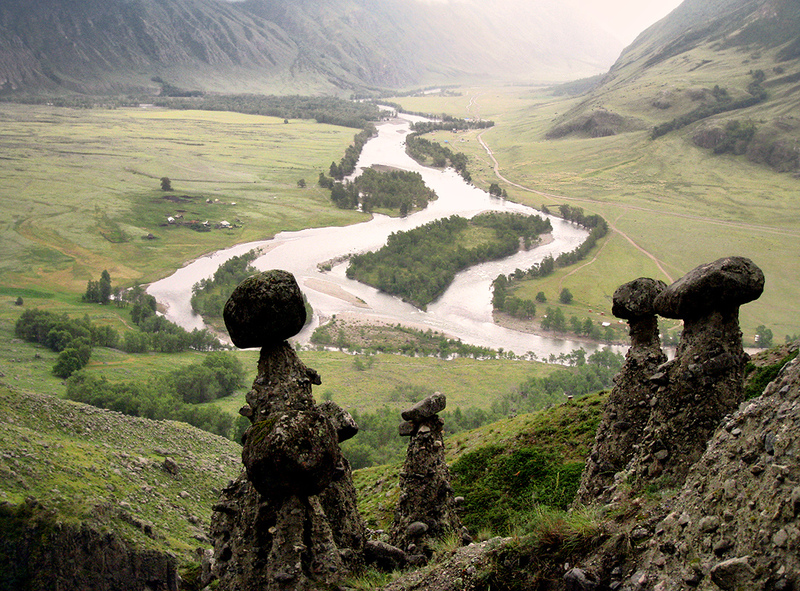 Geologists believe that our grandchildren may no longer see the wonders of Chulyshman valley.